The rapid development of chemistry for dye-sensitzed solar cells has led to a large number of counter electrode materials. Dyenamo provides traditional platinum electrodes as well as various carbon-based ones and PEDOT. The counter electrode products are made on FTO glass plates. 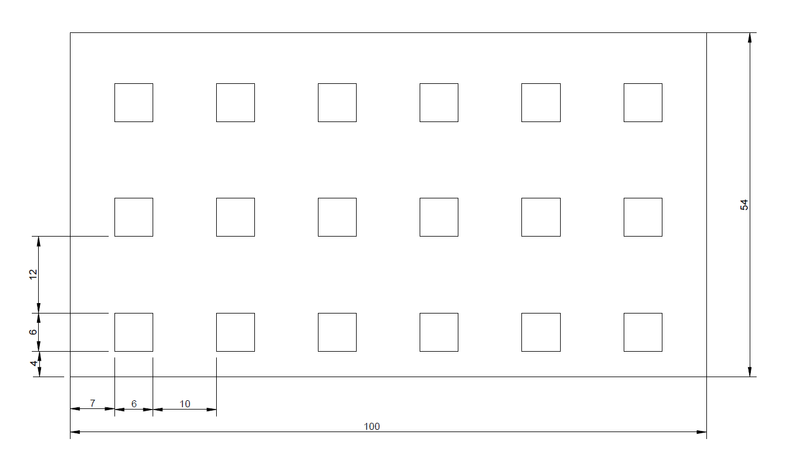 For the platinum and carbon products (DN-CE01 to DN-CE06), each plate includes 18 counter electrodes in the size 6 x 6 mm2 , which can be cut into individual substrates of the size 16 x 18 mm2. For DN-CE07, each plate is covered with PEDOT, which can be cut into 18 individual counter electrodes of 16 x 18 mm2. The products can be ordered with or without filling holes in the glass substrate. Other substrates and electrode sizes can be obtained on demand. Please contact us for such a request. The traditional platinum counter electrode for dye-sensitized solar cells especially suitable for iodide/triiodide electrolytes. Each plate includes 18 counter electrodes in the size 6 x 6 mm2, which can be cut into individual ones. The product can be ordered with or without filling holes in the substrate. The electrodes should be sintered at appr. 450 ºC. Highly conducting porous graphite electrode comprising carbon black particles as catalyst. Each plate includes 18 counter electrodes in the size 6 x 6 mm2, which can be cut into individual ones. The product can be ordered with or without filling holes in the substrate. Sintering the electrode at 400 ºC for one hour provides an electrode with ohmic sheet resistance < 10 ohm/square. Highly conducting porous graphite electrode comprising platinized carbon black particles for increased catalytic activity in relatin to DN-CE03. Each plate includes 18 counter electrodes in the size 6 x 6 mm2, which can be cut into individual ones. The product can be ordered with or without filling holes in the substrate. Sintering the electrode at 400 ºC for one hour provides an electrode with ohmic sheet resistance < 10 ohm/square. Highly conducting porous electrode with graphene-doped graphite comprising carbon black particles as catalyst. Each plate includes 18 counter electrodes in the size 6 x 6 mm2, which can be cut into individual ones. The product can be ordered with or without filling holes in the substrate. Sintering the electrode at 400 ºC for one hour provides an electrode with ohmic sheet resistance < 5 ohm/square. Highly conducting porous electrode with graphene-doped graphite comprising platinized carbon black particles as catalyst. Each plate includes 18 counter electrodes in the size 6 x 6 mm2, which can be cut into individual ones. The product can be ordered with or without filling holes in the substrate. Sintering the electrode at 400 ºC for one hour provides an electrode with ohmic sheet resistance < 5 ohm/square. PEDOT counter electrode suitable for alternative redox mediators, such as copper or cobalt complexes. Each plate covered with PEDOT can be cut into 18 individual counter electrodes of 16 x 18 mm2. The electrodes can be ordered with or without filling hole in the glass substrate.